Located in Winnipeg's Exchange District, at the corner of Market Avenue and Bertha Street, just down from the Manitoba Theatre Company, on the third floor, above the saddlery. LOVED the aviation-themed escape room! The clues were very cryptic and really challenged us! the only feedback I have is that the room was incredibly hot & stuffy, especially with 8 people squeezed in there! Otherwise a fantastic night! Welcome aboard Epic Airlines Flight 7249. You and your group are ushered onto the 747 and shown to your seats. After the flight attendant finishes the overview, things get out of control. Can you handle what happens next? There are two identical rooms available at the location. You can play head-to-head with another group of 2-8 players. 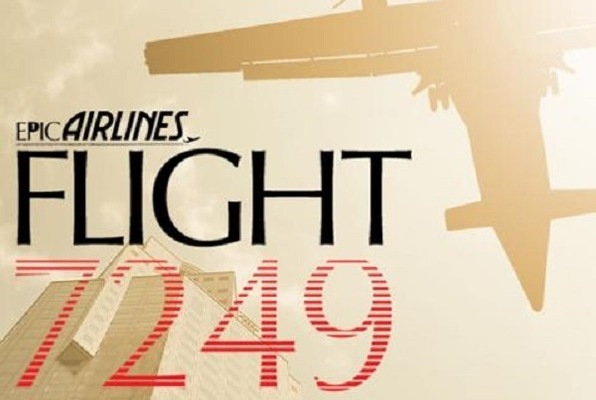 Reviews of escape game "Flight 7249"
Did the Flight 7249 with 5 others. I really enjoyed it. It’s quite challenging for us and we really had to work together. You really have to think and pay attention. Our host was very friendly. Our room was not hot and you only need one room since it’s on an airplane.